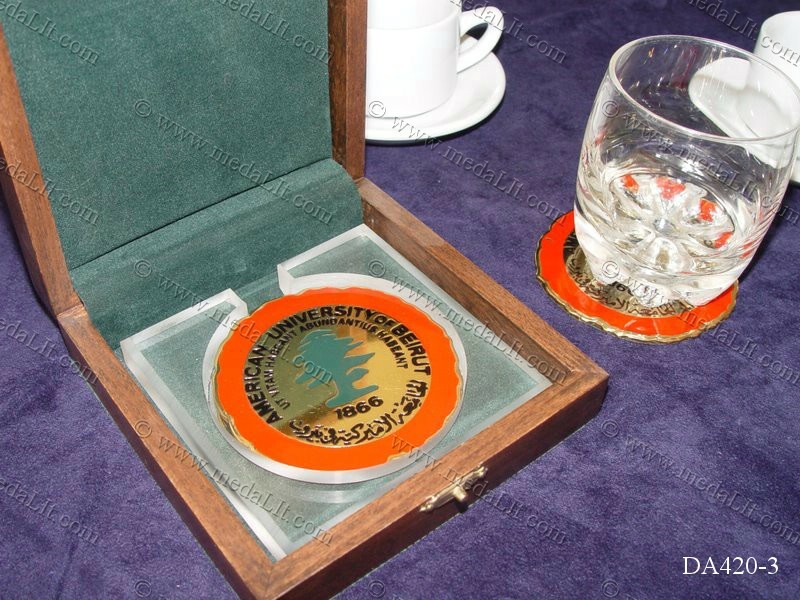 Three pieces luxury coaster set with personalized brass medal and acrylic holder presented in a luxury wooden box. Your text and logos can be incorporated into the designs you choose. Absi business gifts serve as excellent items for promoting your institution or company in events such as expositions and seminars; they are very affordable in price.